Yes, Hillary, it makes a big difference, and if the Benghazi scandal and coverup can rid this country of the illegitimate devil occupying the presidency, along with his comrades, then at least those murdered will not have died in vain. Influential Republicans are setting their sights on toppling the Obama administration as evidence of a cover-up over the assault on the Benghazi consulate gets stronger. Former Arkansas Gov. Mike Huckabee is now openly talking about impeachment, saying he does not believe Barack Obama will survive the remaining 3½ years of his presidency. “When a president lies to the American people and is part of a cover-up, he cannot continue to govern,” Huckabee said on his radio show Monday. 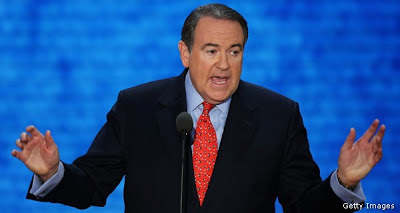 Huckabee isn't alone in his belief that Obama could be toppled. The pressure is growing just as Congressional hearings on the Sept. 11, 2012 attacks that left four Americans dead are due to start on Wednesday.